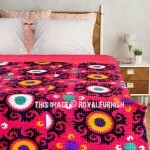 Bohemian inspired accents could create a warm atmosphere on the interior design. 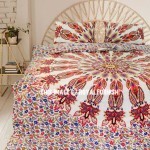 Mandala is a superb design of a Bohemian inspired bedroom with exotic and Indian inspiration. 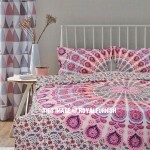 The lively and colorful boho bedding mandala bedding set with two pillows breaks through the white dominance and brings warm character into the place. 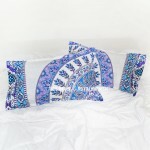 These are 100% cotton bohemian duvet covers set those comes with set of pillow covers. 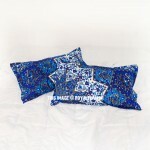 Crafted in super soft cotton and finished with tie closures along the side. 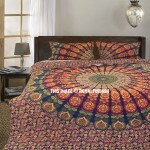 Mandala Duvet covers comes in medallion motifs and perfect piece of art for cozy addittion to any boho chic bedding. 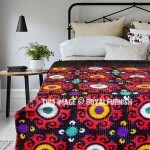 Our bohemian bedding duvet covers give the bedroom a very relaxing and inviting look with multi colors at inexpensive price. 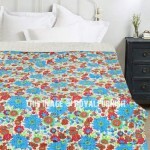 Be bold and give your bedroom a makeover. 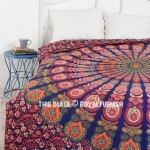 Pay special attention to the walls and hang up a tapestry for bohemian room decor.